WMU-Cooley Law School Professors Mark Dotson and Paul Carrier are paying close attention to potential legal ramifications facing Volkswagen for rigging millions of cars with deceptive software that falsifies emission testing results. 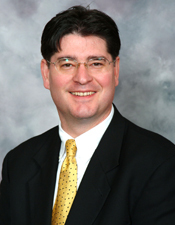 Professor Dotson teaches Torts and Remedies and has extensive knowledge of consumer protection laws. Professor Carrier teaches a variety of international law courses, which include European Union Law, International Business Law, and Public International Law.